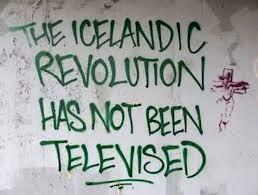 Iceland is perhaps to become the model on how to handled high level banksters committing illegal activities and fraud as the reports and video seen below will show. Criminals are criminals and should be treated as such. It should not matter how high up the ladder they are in leadership positions, in any country, “we the people” can do what the people of Iceland did, not just to criminal bankers, but to our criminal politicians. Not only can we, but we should. It is our responsibility to hold criminals in government accountable, an obligation citizens of the US have not lived up to. Previous story Love or Ignorance?